St Catherine's Castle was built in 1536 and is one of several fortifications running along the south coast to be built by Henry VIII. 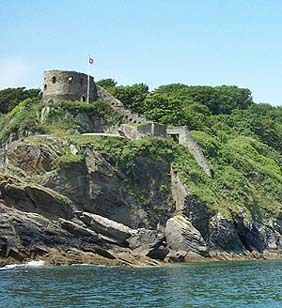 The remains of St Catherine's Castle, which was built to protect Fowey harbour from French Invasion, are now managed by English Heritage. The castle remains overlook the estuary and can be accessed via a short path from the beach.